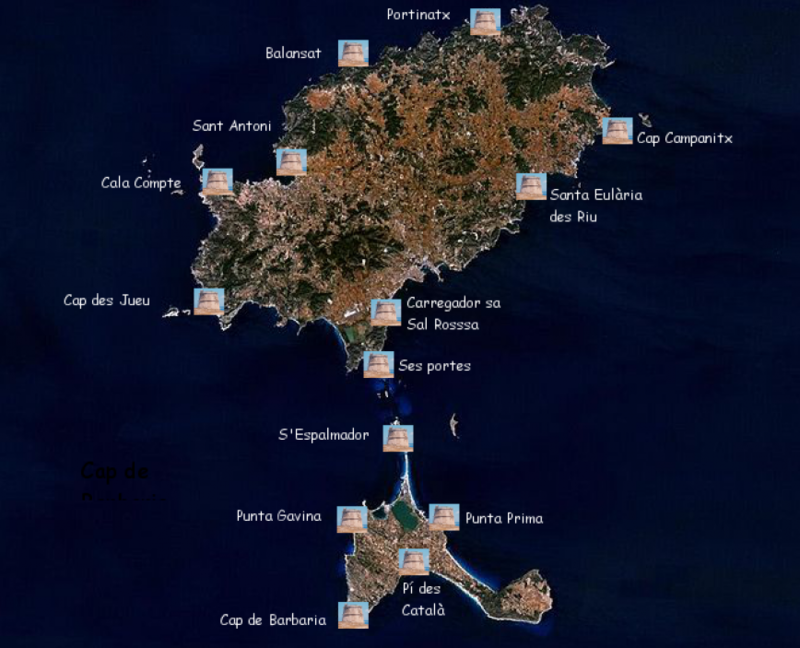 Ibiza and Formentera have many towers that served as look-out posts to alert the population in case of pirates attack. 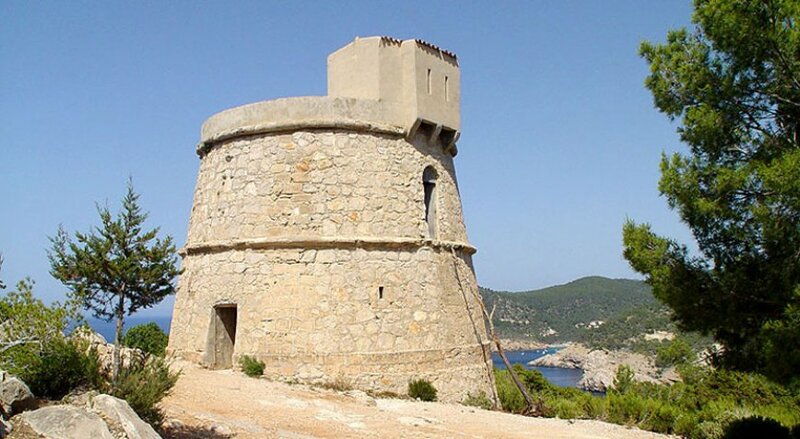 At only 3 km from the Hacienda Na Xamena, Torre des Molar (also called Balansat Tower) is probably the best preserved example of this ancient local architecture. Situated at 95 meters from the sea level, the tower counts 3 floors including a beatiful terrace overlooking the sea. 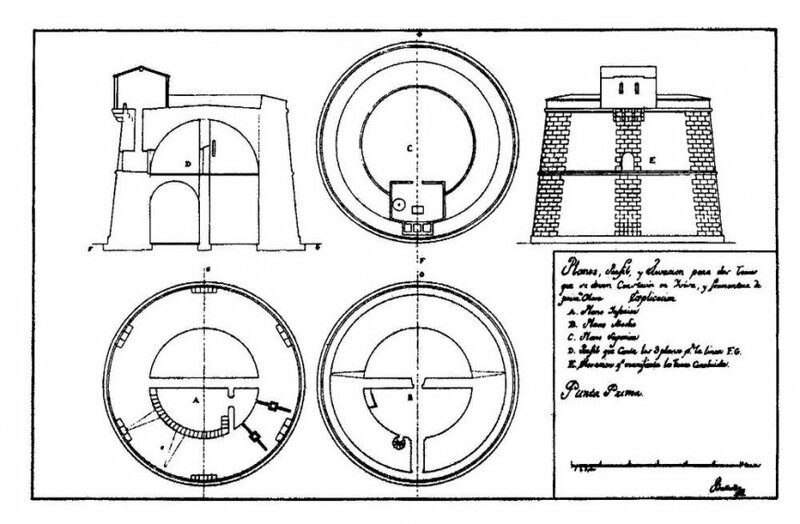 The access to the tower is now easier than it was: in fact the ground floor door and the spiral staircase have been created later. In the original building the sentry had to climb a rope to enter the main door on the 1st floor, as the ground floor was used as munitions dump. 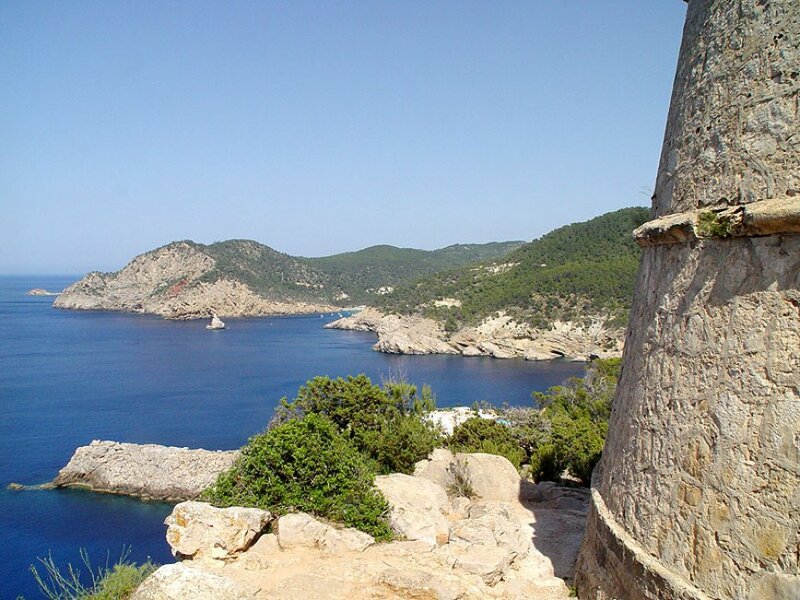 From the top of the tower you can enjoy a great view over the Mediterranean Sea. 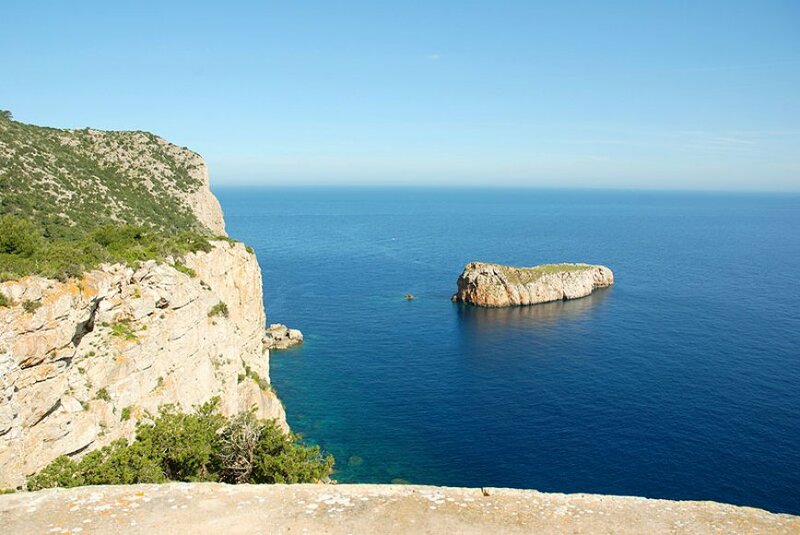 Just in front of you on the left you will see the little Illa Murada rock, while on your right there is the Illa des Bosc with its big private villa. The surrounding hills are covered with local pine trees. thanks to its local vegetation. A 45 minutes walk from the hotel will bring you there.